Linden Highlands offers comfortable studio, one and two bedroom apartments for rent in Shoreline, WA. 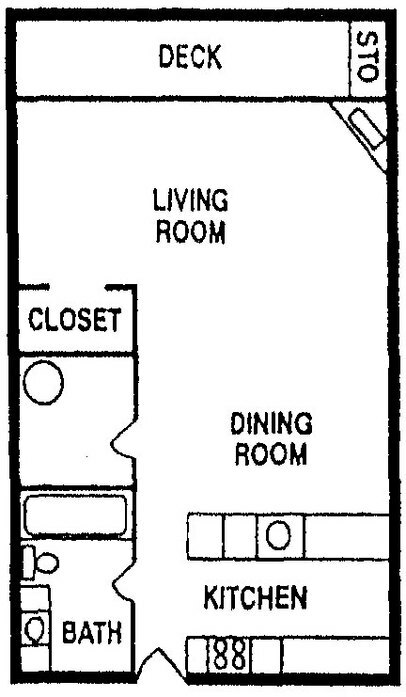 The 507-square-foot studio floor plan opens next to the kitchen and the bathroom. Farther into the space, you’ll find a large closet and a living area with a cozy fireplace. The one bedroom floor plan not only has a living room with a fireplace but also has an attached deck with additional storage. 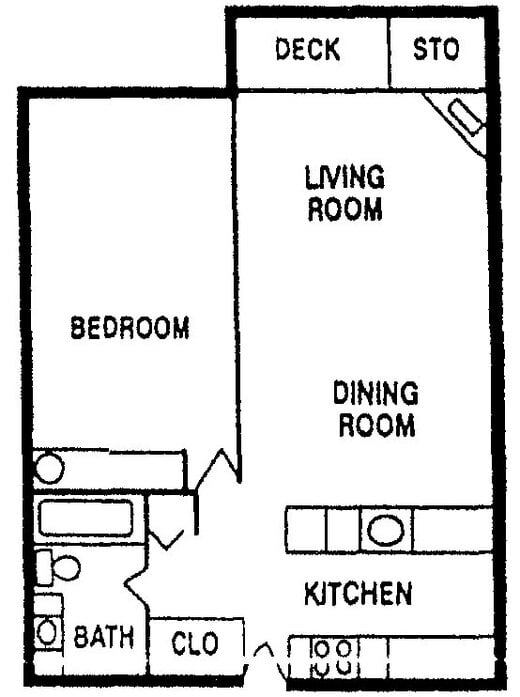 This floor plan includes two closets and offers 612 square feet of space. 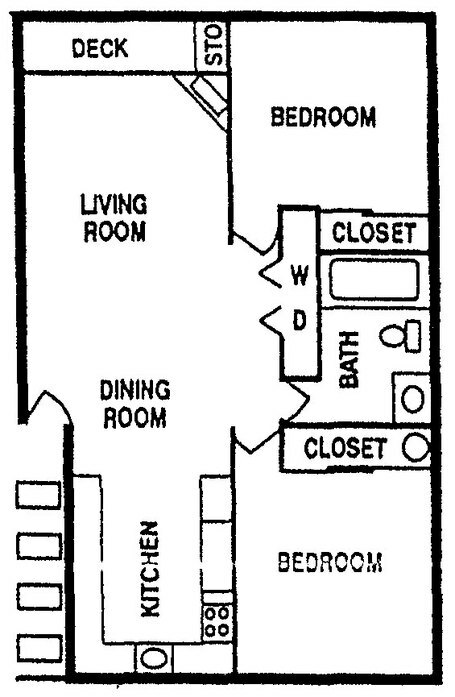 In the two bedroom floor plan, a shared bathroom rests between the bedrooms. The U-shaped kitchen opens up to the living and dining area, and the deck provides a spot for outdoor leisure. This layout even includes an in-home washer and dryer set.